Protein occurs in most foods but is especially abundant in meat, poultry, fish, dairy, eggs, grains, beans, nuts, and seeds. Most of us get more than twice the amount we need on a daily basis. But protein comes with a health aura. It sells. Hence: the food industry’s great interest in developing protein ingredients for food products. FoodNavigator-USA, ever on top of current food trends, summarizes recent developments. FoodNavigator-USA.com has a Special Edition on alternative proteins, meaning plant proteins that can substitute for the proteins in meat and other animal products. These are not only useful for vegetarians, but cost less, and are much kinder to the environment. According to Lux Research , ‘alternative proteins’ such as soy, algae, pea, rice and canola, will account for up to a third of the protein market by 2054. But which ones have the most potential, and will new market entrants from duckweed and sacha inchi to cricket powder gain any real traction in the marketplace? I’ve written about fats and carbohydrates this week, so how about I end the week with Bakery & Snacks’ special edition (compendium of articles) on protein. Bakery & Snacks is a newsletter aimed at this industry which, as you might expect, is highly interested in the marketing potential of protein. There’s little sign of us losing our appetite for protein – with around a third of global consumers seeking foods high in protein [Nielsen 2015]. But that’s not to say the market isn’t changing – and that those in the industry may need to change with it. In this special edition newsletter, we look at topics including: the questions to be asked when using protein in a baked good or snack; whether consumers need more education around protein; how poultry and seafood are transforming meat snacking; and what the protein boom means for retail product mixes. If you are a maker of processed foods, and have exhausted low-carb and low-fat marketing options, all you have left is proteins—the hot new marketing tool. Protein-supplemented products are all over supermarket shelves. Never mind that most Americans get twice the protein required, and that even vegans can easily meet and exceed protein requirements. Just remember: Diets adequate in calories are highly likely to be adequate in protein, and average protein intake in the population is twice the amount required. From the standpoint of nutrition, protein is a non-issue. But that doesn’t stop marketers from looking for ways to push it. Cheerios Protein has 7 grams of protein per serving. But it also has 17 grams of sugars. In case you can’t read this: Whole grain oats, cluster (whole grain oats, brown sugar, soy protein, lentils, sugar, corn syrup, natural flavor, molasses, rice starch, caramel (sugar, caramelized sugar syrup), salt, calcium carbonate, baking soda, color added, BHT added to preserve freshness), sugar, corn starch, honey, salt, refiner’s syrup, tripotassium phosphate, rice bran and/or canola oil, color added, natural flabor, brown sugar, vitamin E (mixed tocopherols) and BHT added to preserve freshness. This one has 16 grams of sugars. And here’s another. This one only has 7 grams of sugar per serving. How come? Sucralose! And just a reminder about protein: American consume roughly twice as much as needed. Protein is not an issue in U.S. diets. This is about marketing, not health. I guess Cheerios SUGARS, Fiber One SUGARS, or Special K SUGARS PLUS ARTIFICIAL SWEETENERS wouldn’t go over nearly as well. Protein, a nutrient consumed by Americans at levels greatly in excess of requirements, is the latest fad in food marketing. Protein is the buzzword that is helping sell many kinds of foods. Food companies are placing more prominent protein labels on packaging and adding protein to such products as drinks, bars and cereals…A label that says protein has what researchers call a “health halo effect” that goes beyond just the promise of protein. When people see the word, they also believe the product will make them feel more full or give them energy. Once the preserve of sweaty men pumping iron, protein has emerged from an image overhaul as the ingredient of choice for product developers targeting men and women of all ages keen to battle the bulge and stay strong, lean and active as they age. In this FoodNavigator-USA special edition we explore consumer attitudes to protein, the latest market research, and how protein can fit into new product concepts in health and wellness, weight management, sports nutrition and more mass market products targeting women, boomers, and other groups.We also look at what protein options are available for formulators, from new algal-based proteins to pea, soy and milk proteins. Could algae be the next big thing in the protein market? Part one: Solazyme Roquette Nutritionals: Much has been written about the potential of proteins such as pea and canola as firms seek alternatives to dairy and other carbon-intensive – and increasingly pricey – animal proteins. But what about microalgae?.. Cost and supply benefits are ‘icing on the cake’ for soy proteins: After a few years of difficult market conditions, the soy protein market is enjoying ‘dynamic growth’, but what does the future hold for this ingredient, and what kind of impact will the GMO issue have?.. A new diet study just out from the American Journal of Clinical Nutrition went to a lot of trouble to prove the obvious. When it comes to weight loss, how much you eat matters more than the proportion of fat, carbohydrate, and protein in your foods. Researchers at the Pennington Biomedical Research Center got volunteers to eat diets that were supposed to differ in proportions of fat (40% vs 20%), carbohydrates (35% vs. 65%), and protein (25% vs. 15%). The major predictor for weight loss was adherence to the diet. People on all of the diets lost weight by six months, but regained some of it by two years. The study had a high drop-out rate (hence the importance of adherence). It was hard for people to stick to the diets, especially those at the extremes of one dietary component or another. 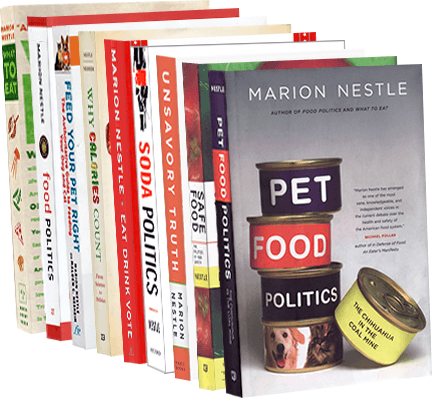 In my book with Malden Nesheim coming out on April 1, Why Calories Count: From Science to Politics, we review the previous studies of whether what you eat matters more to weight loss than how much you eat. Some people find it easier to stick to diets that are higher in protein and fat. I’m guessing that proponents of low-carbohydrate diets will argue that none of the diets in this particular study was really low in carbohydrate. But studies show that people have a hard time adhering to diets that are very low in carbohydrate. The low range in this study—35%—is at the lower end of acceptability for many people. The bottom line: all diets work if you stick to them.